Mark Trumbo is one of the better power hitters in the MLB right now. The Angels already have enough players like him, and are desperately in need of Starting Pitching. 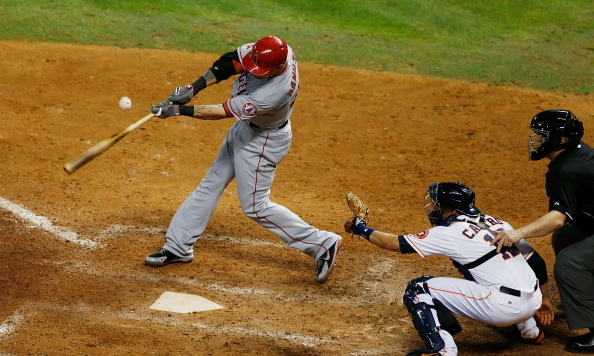 Depending on who they get back for him might determine how well the Angels can finish in 2014. Trumbo has great powers as his HR years of 27, 32 and 34 over the last 3 years respectively shows, however he Strikes out a ton, not so good with a another player in the middle of the lineup (such as Hamilton) – who happens to have a similar BB/SO rate. The Big 1B/OF/DH has a Career OBP of .299. The talented 27 Year Old, finished 2nd in Rookie Of The Year Voting in 2011, when he clubbed 29 HRs and added 87 RBI in just 539 AB. 2012 saw his numbers turn him into an AL ALL – Star, cracking 32 HRs and adding 95 RBI. 2013 started off with a huge MVP like performance over the 1st couple of months, before petering out with 34 HRs and 100 RBI. Still great production, but he really cooled off. There is definitely a massive problem with Trumbo and Hamilton in the lineup at the same time – with their long swings – and heading back to the dugout with contact. Josh Hamilton was expected to provide some more power to the Angels line up this season, but the opposite occurred instead, with Hamilton having his worst BA and OBP of his Career. Despite the gawdy power numbers the big man originally from Anaheim, CA possesses, Trumbo’s career 3 Slash reads .250/.299/.768. The man doesn’t walk and has massive Strikeouts. Last year alone, Trumbo fanned 184 times. Hamilton’s 3 Slash Line was .250/.307/.739 for the 2013 campaign. As bad as this was for the former Ranger player, he wasn’t that much worse than Trumbo. For the season, Hamilton also whiffed 158 times. It is clear that one man has to leave this lineup – with this down-trodden OBP performance from these two. The answer is simple, you can’t trade away Hamilton at 4 YRs/$108 MIL on his deal remaining, while Trumbo is under Team Control until 2017. The Angels need Starting Pitching, and a result of forking over $50 MIL a year to Hamilton and Pujols, it has the cupboard left dry for financial resources – in bringing in solid Starters. David Price became a 20 game winner for the first time last season, and it won him the American League Cy Young Award. That is really hard to match, but early struggles and injuries held him back in 2013. He was 9 – 8, with a 3.39 ERA. Since he is due a payraise – to the $13 – $15 MIL range, it is my feeling the team should trade him to another club for a power hitting 1B that is under Team Control. 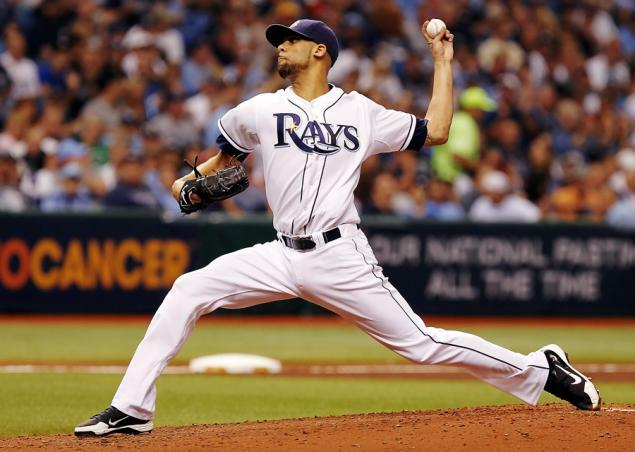 The first thought of a trade partner has got to be the Tampa Bay Rays and David Price. The Rays need a 1st Baseman with power, and the Los Angeles would likely have to give up some pitching prospects as well. This trade partner makes sense. Price will be given a raise in Arbitration – to somewhere in the $13 – 14 MIL range for 2014, and then he has one more season left. The OF with Los Angeles could still be covered with Peter Bourjos, Mike Trout and Josh Hamilton manning the field – and you still have Albert Pujols playing at the 1B bag. Yes Trumbo could DH, but that is an avenue the LA club must consider having free for Hamilton and Pujols to switch off on, and preserve their bodies over the course of 162 Games Played. 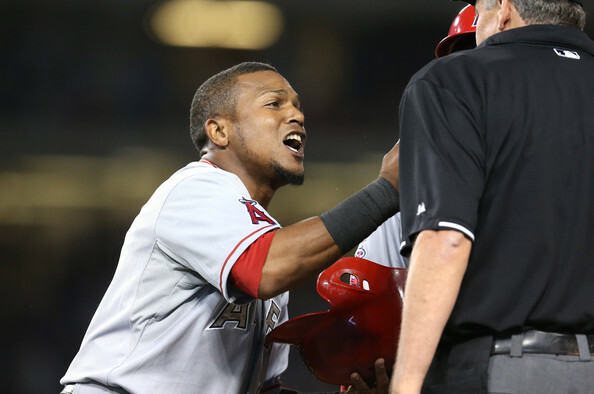 Erick Aybar might be a potential SS the Cards would be interested in. If you packaged Trumbo in the deal, you could possibly fetch some of that Pitching youth back from the Cardinals, and potentially David Freese. Another team that could enter the picture is the St. Louis Cardinals. They are losing Carlos Beltran in the OF, and are also wanting to pick up a SS. If the Angels would be inclined to trade Erick Aybar and Trumbo, for a combination of a Starting Pitcher and David Freese, this may be a good deal for the reigning NL champs. The Angels do not have a 3B in waiting, and their Shortstop position could go Andrew Romine, as his numbers would be better as a SS (and acceptable without power) – as oppose to 3B. The Cardinals could then seamlessly move Matt Carpenter to 3B, use Kolten Wong at 2B, play Mark Trumbo at 1B, and move Allen Craig to RF, to patrol with CF Oscar Taveras – and LF Matt Holliday. The Cards would still have Matt Adams as a PH/DH in AL Games, and a spare Infielder. your 4th OF would become Jon Jay, 5th guy would be Shane Robinson – and you could relegate Daniel Descalso or Peter Kozma to be Utility Infielders. 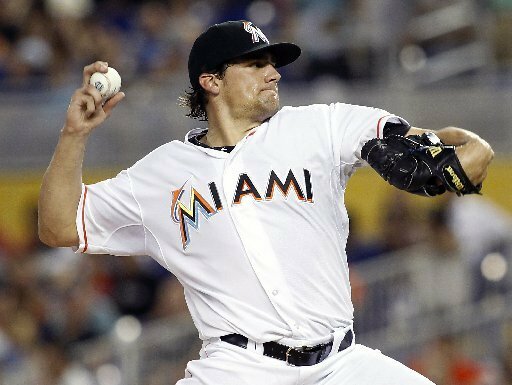 Nate Eovaldi had a 3.39 ERA for the Marlins in 18 Game Starts. If the Angles were to trade Trumbo for him, it may be a good idea, as this guy’s average Fastball was the best in the MLB for 2013. The Miami franchise is also looking for a First Baseman long-term. Another team that maybe a good fit could be the Miami Marlins. They have several Starters that are young – and possess great upside like Nathan Eovaldi or Jacob Turner. Them not having a 1B in waiting could be a good move for them to pick up another right handed power bat, that is cheap. Melancon has traveled his fair share over the past few years seeing time with the Astros and Red Sox. He looks to have found a home with the Pirates. First he was just an ALL – Star 8th Inning man, and now he thrived in the 9th Inning role (stepping in for Jason Grilli). He had a 1.39 ERA in 71 IP for the Bucs as the Setup/Closer this past year. Melancon would aid a brutal Angels Relief Core – where only Dane De La Rosa featured an ERA under 3 – out of all the chuckers that logged any significant Innings. LA is looking to compete in the AL for the 2014, as such. they would like to get their hands on a capable Closer without breaking down the bank anyway. Another team that could sneak into the mix is the Pittsburgh Pirates. They do have a surplus of Starting Pitching in Francisco Liriano, Jeff Locke, Gerrit Cole, James McDonald, Charlie Morton and Jeanmar Gomez. The Bucs could sign another mid level Free Agent Starting Pitcher, which would free up one of the later 3. Also, you have Jameson Taillon potentially coming up by mid – year with the big club. 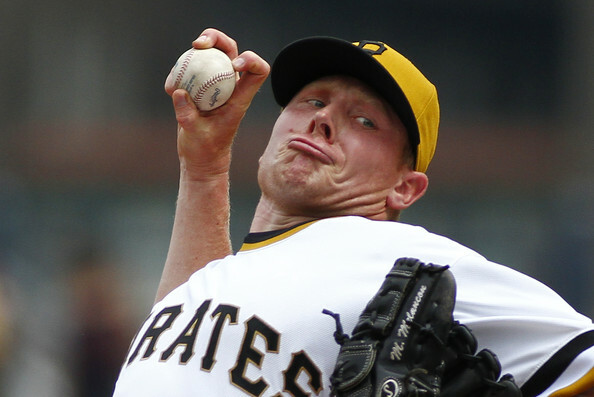 If you also added Mark Melancon to the pile – to aid Los Angeles’s Relief Core, than maybe something could be worked out for Trumbo if you also added another piece. Pittsburgh needs a slugging First Baseman – and I think they would rather platoon the tandem of Jose Tabata and Garrett Jones in RF, as they are set in the rest of the OF – with NL MVP Andrew McCutchen and Starling Marte in LF. 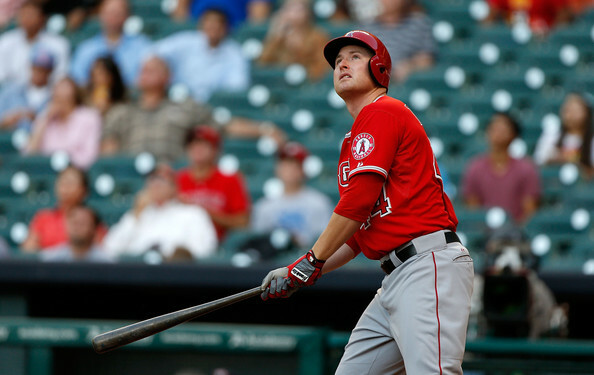 Neil Huntington would love that move because Trumbo is under team control for 2014 – 2016. The nucleus would all be intact with their Infield and OF all being part of the team for a few more seasons. The LA AL franchise needs to set the alarm bells off to win a championship right now. In a few years, Mike Trout will start making a fortune, and exactly how fast in decline are Pujols and Hamilton? C.J. 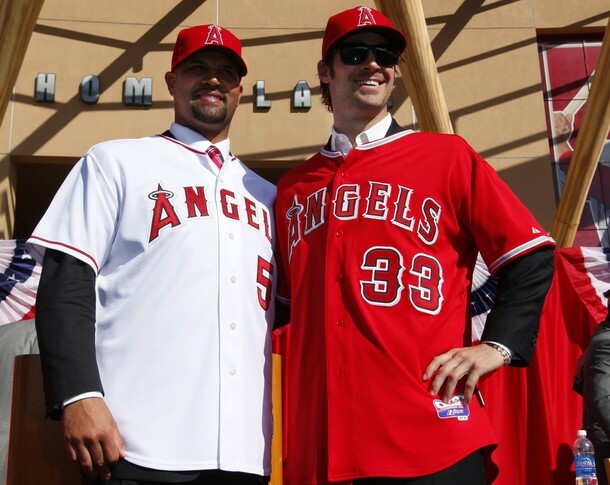 Wilson signed with the LAA in for 5 YRS/$77.5 MIL – followed up by Albert Pujols inking his name on a deal for 10 YRs/$254 MIL in the same offseason – heading into 2012. But they weren’t done the following year, as they locked Hamilton in to a 5 YR/$133.5 MIL contract – and then opted for Joe Blanton 2 YRs/$16 MIL. This amounts to $475 MIL in dollars allocated to Free Agents on just the 4 players. With a high Team Salary, and still the want to compete, the club will look for a 2 – 3 year Starting Pitcher that they can acquire via trade, as oppose to another overpay on the open market. So who will land Trumbo in a deal: Pittsburgh? Tampa Bay? Miami? St. Louis? Or another team? 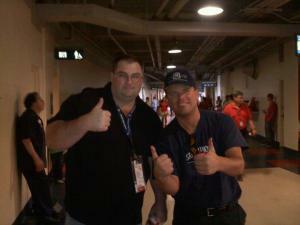 Ballpark Chasers Steve Fekete (left) and MLB Reports Owner (Right) in the bowels of Angel Stadium. 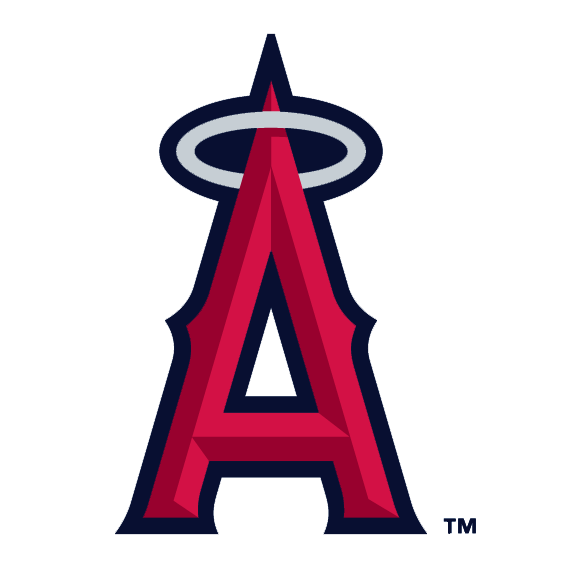 Posted on November 15, 2013, in Free Agency, MLB Player Profiles, The Rest: Everything Baseball and tagged @MLBreports on twitter, albert pujols, allen craig, anaheim angels, anaheim angels of los angeles, Andrew McCutchen, andrew romine, Angel Stadium, arte moreno, c.j. wilson, carlos beltran, charlie morton, Chuck Booth, dane de la rosa, david freese, david price, erick aybar, francisco liriano, garrett jones, gerrit cole, jacob turner, james mcdonald, jameson taillon, jeanmar gomez, jeff locke, jered weaver, joe blanton, jon jay, Jose Tabata, josh hamilton, kolten wong, logan morrison, mark melancon, mark trumbo, mark trumbo trade market, Matt Adams, matt carpenter, matt holliday, miami marlins, mike scioscia, Mike Trout, nathan eovaldi, oscar taveras, peter bourjos, Peter Kozma, Shane Robinson, st louis cardinals, starling marte, tampa bay rays, tommy hanson. Bookmark the permalink. Leave a comment.